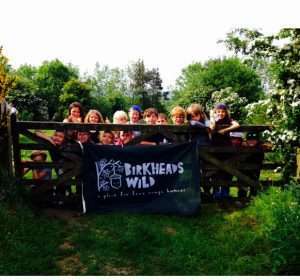 Bring your group to visit Birkheads Wild. Youth Groups | Schools | Duke of Edinburgh's Award Expeditions (Bronze Level) | Forest Schools. TO WATCH OUR SHORT FILM CLICK THIS LINK to hear about what we've achieved on our Gift of the Wild Programme working closely with Stomping Grounds Forest School in 2018. We'll design day sessions or overnight camps to suit the needs of your group. Click here if you are interested in visiting us. Our site is an ideal base for Bronze level expeditions. Never been camping before? We'll support and advise you to ensure your group knows what to expect and is prepared. Click here to see how we can help. We can adapt our walks to suit all needs, abilities and ages - including fully accessible routes. Click here to find out more. From 2 hour 'tasters' to full days 'in the wild', we'll provide an unforgettable outdoor experience for you. Find out more here. We can host 28 overnight camps here per year. Get in touch to book a unique experience for your group. What is (almost) wild camping anyway? 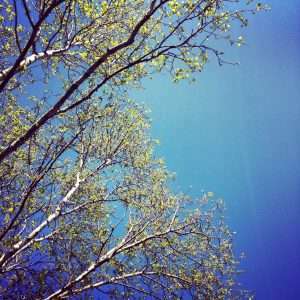 "Jack has talked of nothing else since he got home, thanks to all the grown ups for an unforgettable adventure today!" "We are now in our fourth year of running DofE Awards. Our students work really hard at getting the same national award as everyone else - and do this through volunteering, physical activities, undertaking an expedition and learning new skills. 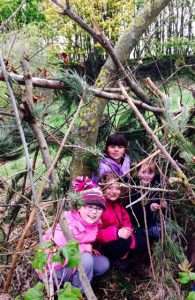 This year they're learning bushcraft skills at a great little spot - Birkheads Wild!" " Your camp site is beautiful and DofE is good! Thank you so much." "I love this place you can build dens and its lots of fun, you can also explore!!!"